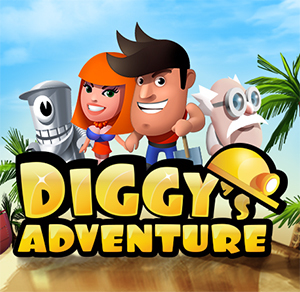 Diggy's Adventure solutions and walkthrough for all Robin Hood main quests and challenges. To get all rewards and avoid getting stuck. Check the walkthrough before starting the quest. Total of 8 main quest and 5 challenges. Select the solutions & walkthrough here. The videos are not in auto play please click the play button to start watching. If your on mobile or tablet tap play then enable full screen. Tip: Complete the Outlaw Headquarters by colleting all 5 treasure parts. Description: For decades, the outlaws from the Nottingham have been using the trees in Sherwood Forest as a disguise. Beware of their arrows and quick hands or you might find your pockets a few gold coins lighter. Collect all 87 Hats on normal quests and 80 on challenges. Enjoy this Quest and fight side by side with Robin Hood. Quest Details: Now that we broke out of the prison, we need new clothes for me and Azeez before we get to the harbour. We need to disguise ourselves. And more importantly, these clothes stink like a horse saddle. Quest Details: I'm free from the prison and now you're keeping me company as I heard back home, ready to help King Richard bring order into the kingdom. All you need is a positive attitude and everything will sort itself out on it's own. Now let me show you my Locksley manor! Quest Details: Not only is the Bishop a liar, he's Sheriff's lackey too. The Sheriff's men, the ones who are supposed to serve and protect, just kidnapped King's Richard's niece Lady Marianna! No gentlemen leaves a lady in distress behind. We must save her. 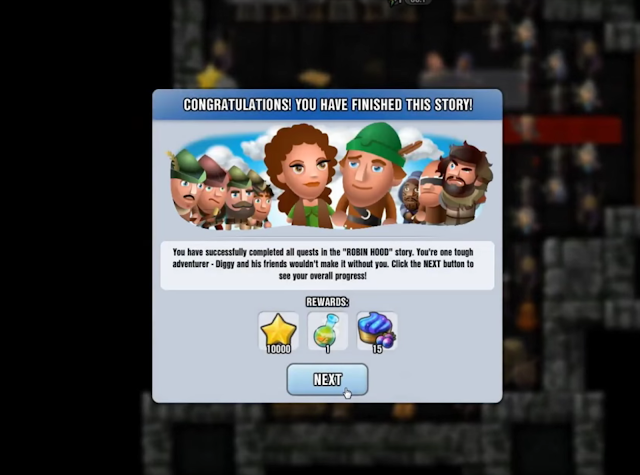 Quest Details: You remember how we took from the rich? Well, there's a few villages on our way to the archery tournament, so I suggest we give the poor everything we took. Those people could use our help! Quest Details: This is worse than I expected... Not only did the Sheriff attack, he took my men and Lady Marianna to Field of Justice! We have to get there before it's too late and he executes someone. You have to smuggle me in. Quest Details: We got inside the Sheriff's castle but he's not the only evil one here. The victory will never be ours until we defeat his allies too - the Old Hag and the Bishop! Friar Tuck and Azeez will help you with that. I have to go search the Sheriff. 32:35 - Start Sheriff pursuit. Approach him on the red carpet to end the quest. 33:50 - Optional Look for the left-out tiles. Clear all tiles to complete. Note: Clear all tiles and gather all the weapons to open the treasure room. Note: You need the spear to enter the castle. 08:45 - Lever Maze: Use the red & green levers to open the rooms. You need to pull the level in each of them. 14:40 - Location of the golden key to unlock the main treasure room. 19:05 - Collect Topaz in this area. All video guides are created by Marian Zmigrodzki and uploaded on author's YouTube Channel. The Sherwood Video is incorrect.